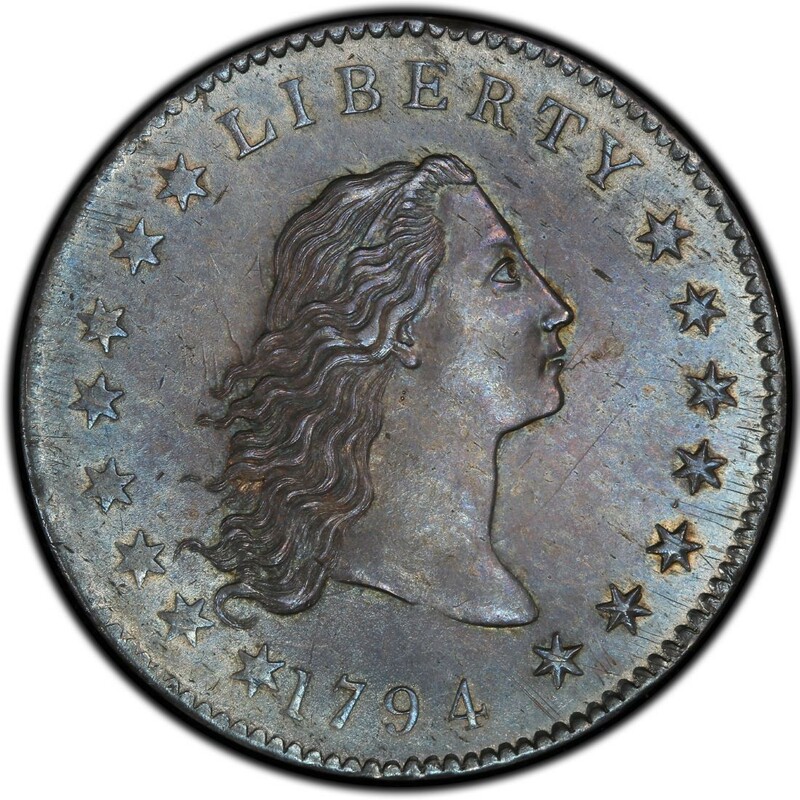 The 1794 Flowing Hair silver dollar goes down in history as being the very first official dollar coins the United States federal government ever issued as legal-tender federal money. Designed by Robert Scot, the 1794 Flowing Hair dollar is the coin that began the American tradition of silver dollars, even though it was, in concept, based on other large-size silver coins from other world governments. Of particular inspiration behind the dollar coin are the Austrian silver Thaler and the Spanish dollar, the latter otherwise known as the 8 Real coin, or Pieces of Eight. 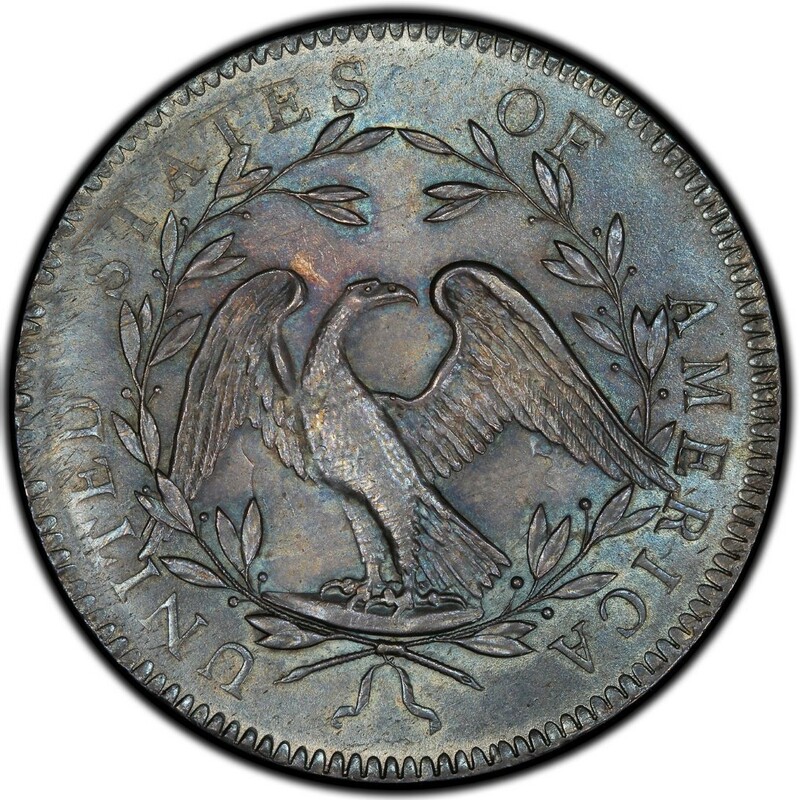 When the 1794 silver dollar was first struck, the United States Mint was still in its infancy, having just been federally established by the Coinage Act of 1792. The U.S. Mint had only just begun striking official federal coinage in 1793 with the production of the copper half cent and large cent. By 1794, the U.S. Mint commenced striking silver coinage, with the silver dollar among these issues. The first silver dollars were minted in very small quantities. The 1794 dollar saw the very smallest of all early dollar mintages, with just 1,758 pieces struck. Believed to be the very first dollar coin ever minted is a Specimen-66 example that sold for more than $10 million in 2013. Indeed, all 1794 dollars are very scarce, and perhaps less than 150 exist today. Not all cost $10 million. In fact, the average price for a 1794 dollar that grades Fine-12 is $150,000. That's certainly not cheap, but even with its six-figure weight the price is still lower than the $10 million paid for the 1794 dollar that many theorize was inspected by George Washington, Alexander Hamilton, and first U.S. Mint Director David Rittenhouse. Coin collectors should be wary of buying any and all 1794 silver dollars that aren't certified by a reputable third-party coin authentication company. Many more counterfeit 1794 dollars exist than do real specimens, and genuine examples are challenging to come by. Collectors should be wary of any deals that seem too good to be true, and even when being offered a 1794 dollar that seems in line with pricing trends, buyers should still insist on buying the coin slabbed, not raw. Those who have or plan to buy 1794 dollar coins should be proud of their numismatic acquisitions. After all, the 1794 dollar is the very first among all U.S. dollars, preceding federal paper dollar currency by several decades. The 1794 dollar is truly the "dollar that started it all"!